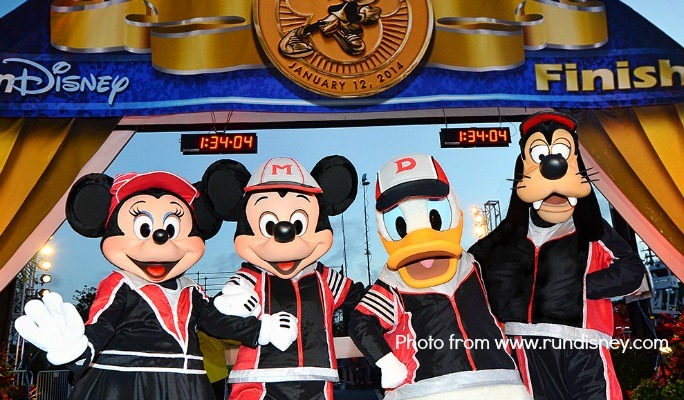 WDW Marathon Weekend: Proof of time is due today! Just a friendly nag … er, reminder that proof of time is due today for 2017’s Walt Disney World Marathon Weekend! To add or modify yours, go to Runner Info, then Proof of Time, and click on Update your proof of time. You’ll be forward to your Active Event Page, (after logging in,) where you can click on Edit My Registration to enter your POT and supporting race information or View My Registration to make sure your POT is entered. *TIP: Take a screen shot or print this out in case you have issues with your corral placement later on! And if you’re in the mood to watch some WDW Marathon Weekend recap videos, be sure to check out our collection over at Joyful Miles’ YouTube Channel! We also have quite the collection of blog race recaps! QOTD: Are you going to be at WDW Marathon Weekend in 2017? Awesome, we hope you have a total blast and be sure to look Megan and me up!